The Beautiful Bride in window light, in the Rustic Forrest wedding area, in Lake Arrowhead / Twin Peaks. This venue offers a large cabin for your wedding night included in your wedding package. The forrest and area around the cabins is well maintained and beautiful to behold. If you're looking for a mountain destination with a feeling of seclusion this is the great location. The staff are very nice and they offer many services. 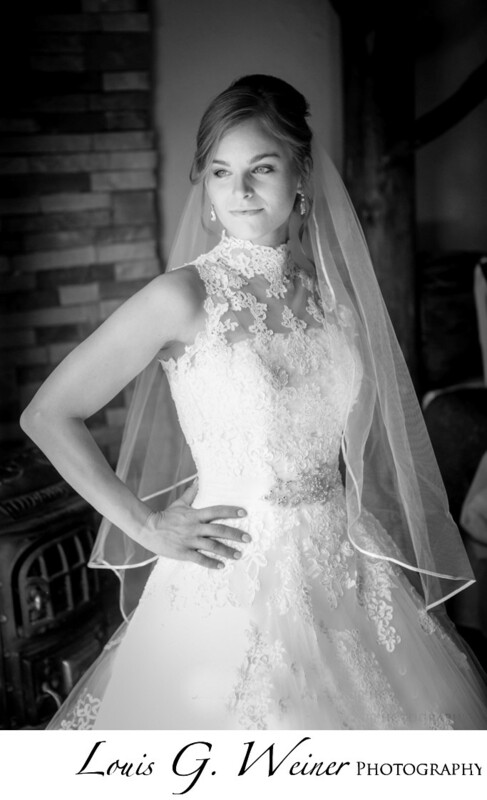 This is a Black and White image of the Bride as she finished getting ready, with natural window lighting. Location: Pine Rose cabins, 25994 California 189, Twin peaks, CA 92391.